Call now for a free estimate and get the best price available for your next hardwood floor job! P and C Hardwood Flooring, with a crew of experienced finishers, is the right company for any size job. We are well known for detail and precision in both refinishing original floors and installing new ones. We work with a variety of sub contractors in all home repair needs. We can provide low cost ceramic tiles installation, plumbing, roofing and any kind of construction. P and C Hardwood Flooring believes that working for the customer means delivering a high-quality service through clear, ongoing communication with all parties involved in the project. 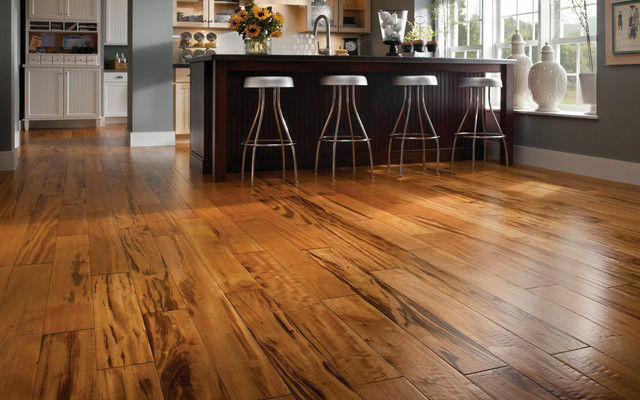 P and C Hardwood Flooring was founded to provide high-quality installation and finishing of hardwood floors. Superior craftmanship insures that a "personal touch" goes into the installation of all new floors, providing a custom look that enhances the interior decorating of any home or office. Dedication to quality work and our commitment to customer satisfaction is the primary concern of P and C Hardwood Flooring. P and C Hardwood Flooring offers consultation services for all your hardwood flooring needs. From standard installation to patterns, stairs, or custom inlaid designs. Our professionals will work with you to ensure you complete satisfaction.